The Mondrian Doha, a 24-storey skyscraper containing apartments and a luxury hotel with 270 rooms and suites, has opened its doors. 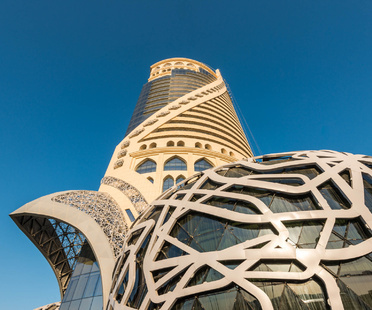 Six years of work by SWA, South West Architecture, went into this complex structure with its design inspired by the falcon, a great tradition in the Persian Gulf, featuring amazing ceramic decorations by FMG Fabbrica Marmi e Graniti. The winners of the 2018 MIPIM Awards were announced on March 15. 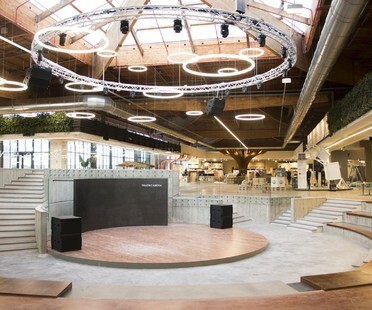 Italy did very well, with three winners: the FICO complex in Bologna and the Fondazione Feltrinelli & Microsoft House and Porta Nuova area in Milan. 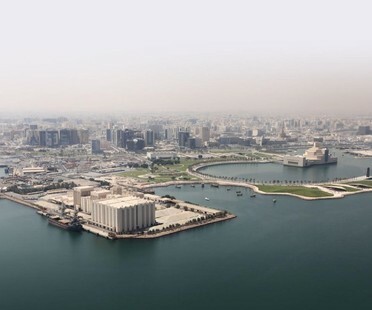 An overview of recent projects in Abu Dhabi and Doha presented in the pages of Floornature. 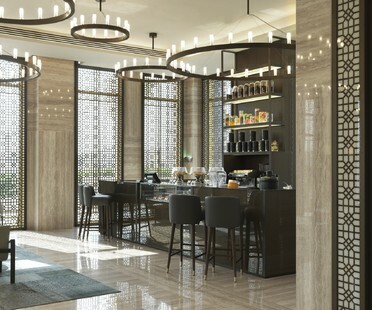 Fiandre’s Maximum maxi-slabs are featured in the luxurious interiors of the Fraser Suites, a 5-star hotel designed by architect Matteo Nunziati in Doha, Qatar. The architect Alejandro Aravena and his studio Elemental have won the international design competition for the Art Mill, the new museum of art in Doha, Qatar. 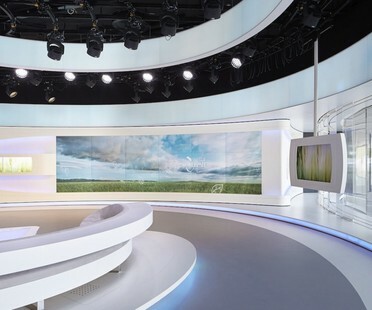 Going beyond the limits of a traditional television studio, Veech X Veech’s studio 14 designed for Al Jazeera won the Set of the Year Award presented by NewcastStudio at NAB Show 2017 in Las Vegas. 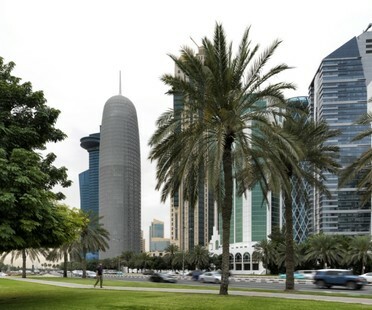 Jean Nouvel’s skyscraper in Doha, Qatar looks like a giant version of the mashrabiya, an element of traditional Arabian architecture. The building has been shortlisted for the Aga Khan Award for Architecture. 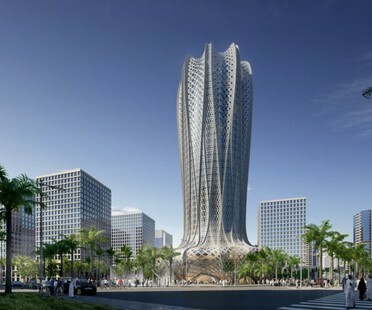 Zaha Hadid Architects have two new projects underway, commissioned by Sheik Mohammed Bin Khalifa Al Thani for Lusail City, the sustainable city under construction 15 km from Doha in Qatar. The first, a 70,000 sqm hotel, will be ready in 2020.